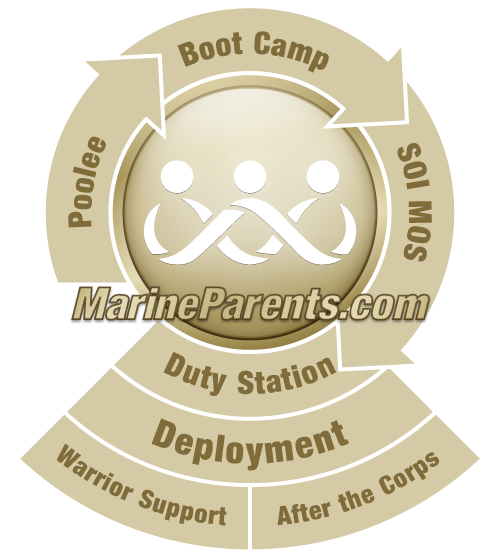 MarineParents.com, Inc.™ began as a complement to information available on the official United States Marine Corps website. We provide accurate, well-researched information about all phases of your Marine's career in the Corps, including bootcamp, school of infantry, MOS school, duty stations, deployment, and homecomings. In this section of the web site, you'll learn more about the history and structure of the Marine Corps, as well as general knowledge about the Corps. Use the red bar navigation to the right (or at the bottom on a mobile device) to learn more now!